American expats make the best rock stars. Flaunting a fake English accent, they can bask in their own faux-Euro mystery and tight designer pants while their label hides a marketing hard-on. Apparently, these cross-Atlantic switcheroos happen to run the other way, too--minus the designer pants. Minibar flies with these West-headed folk. 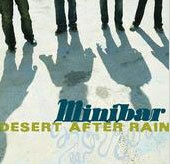 After being dropped by Universal, Minibar enlisted the production support of Dusty Wakeman (Lucinda Williams) and The Wallflowers' Rami Jaffee and Greg Richling for this, their second album. An expression of wholesale disappointment with the world, Fly Below the Radar is a mix of deep Americana and songwriter-vocalist Simon Petty's smooth pop harmonies. "Martha" pulls out all the pedal-steel stops and paws at the heart with declarations like, "I'm not the kind of man to make things easy." Where Minibar is most effective is in the expression of disillusionment. "Badlands" tells the story of a search for peace and its undiscovered whereabouts. Dealing with the ruined image of an Englishman's idealized America proves an effective utility.